I have always taken a shine to the cuisine which “God’s Own Country” offers, be it the pristine Onam sadya or the Moplah chicken/mutton biryanis, Syrian Christian vegetable and chicken stews with appam and more. Kerala indeed can boast to have one of the world’s most evolved cuisines, thanks to the varied cultural influences which spice and maritime traders from differenr corners of the world as well as the Jewish missionaries had brought to the coastal state. 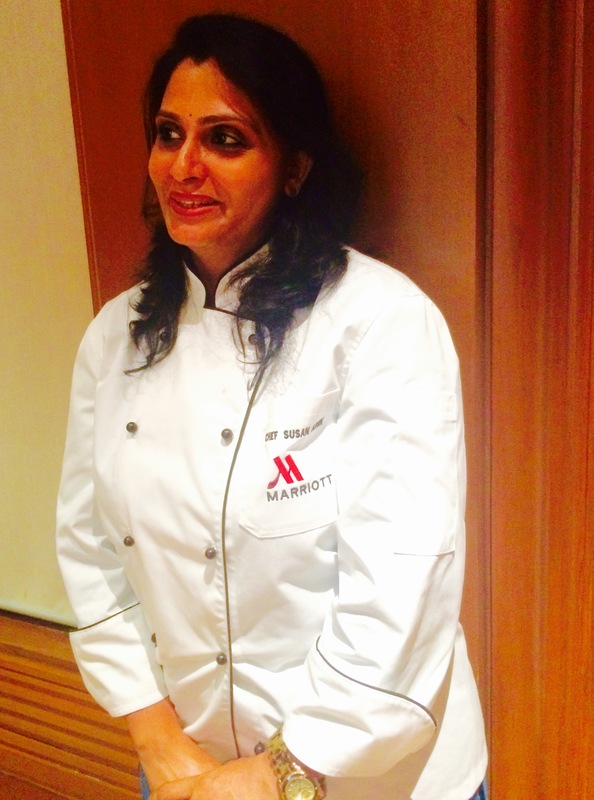 So, an invite from Marriott Hyderabad to The Suriani Kitchen promoting Syrian Christian cuisine by home chef Susan Arun got an immediate thumbs up from me. Susan, while being brought up in Hyderabad, has her roots in Kerala and learnt all the nuances of the multi-faceted cuisine, which the state has to offer both from her mother and grandmother. 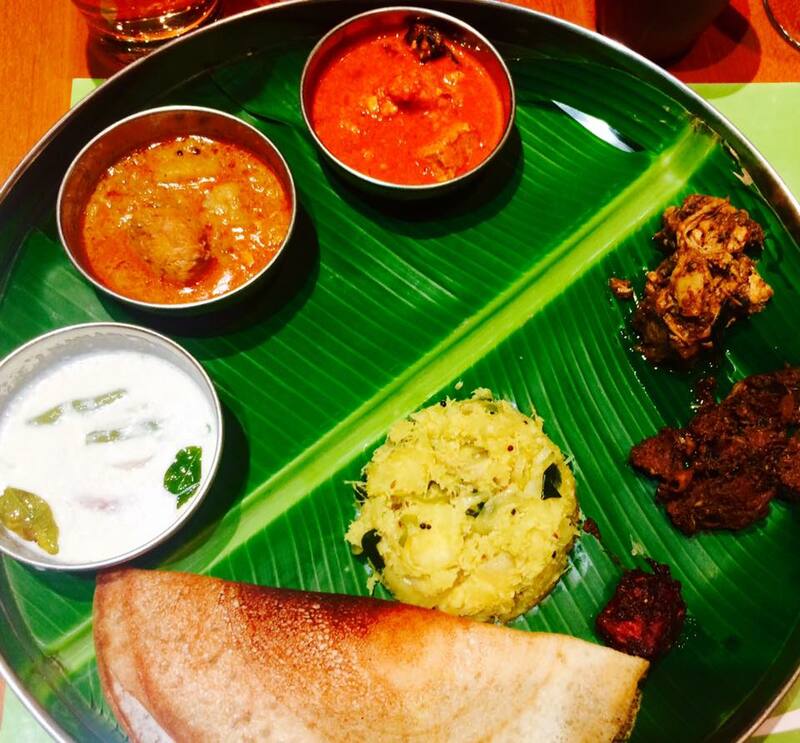 Interestingly, the sampling that evening at Okra (where the promotion was being hosted) consists of two parts: one, a completely vegetarian, delightfully huge Onam Sadya spread on a banana leaf, followed by a non vegetarian fare showcasing Syrian Christian specials. 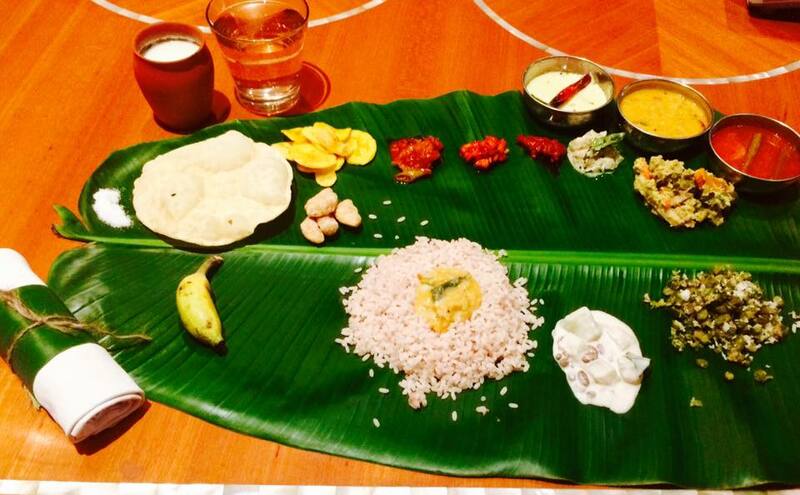 “I decided to include the Onam spread as the festival was just a couple of days ago and it would have not been in the festive spirit not to do the sadya,” says the amiable Susan. On my leaf in the pic clockwise from left to right is salt, pappadum, upperi (banana chips) sharkaraperutti (jaggery-coated banana chips), a host of pickles like mango, lemon and ginger (the delicious Inji Puli! ), Vellarika Pachadi, Mor (spiced butter milk), Parippu (moong dal), Sambar, avial, cabbage thoran, Olan, red rice and Pazham (small banana with a distinct flavour). As if that huge Onam spread was not enough, we are tempted to try out the Syrian Christian delicacies too: Pepper Chicken, Fish Pickle, Meen Vevichathu (country style fish curry cooked on slow fire in a clay pot), beef roast, kappa and Appam & Vegetable/chicken Stew. 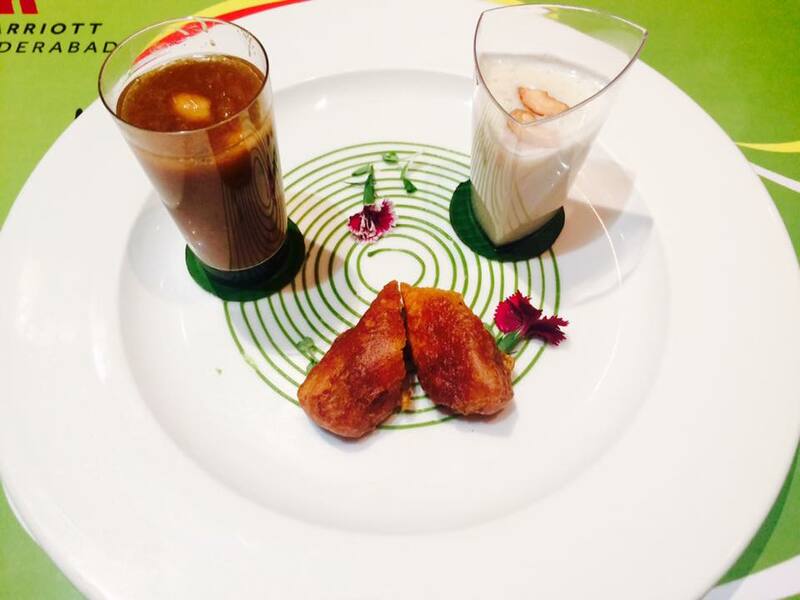 For desserts, its a trio of treats, with the more common Ada Pradhaman (jaggery-rice-coconut milk concoction on left in brown), Paal Payasam (rice pudding simmered in coconut milk) and Pazham Pori (banana fry). The Ada Pradhaman is easily one of the best I have had and I finish it to the last drop, though I am too stuffed to accept a second serving! I am quite surprised to hear that this is Susan’s first foray into commercial cooking and we all compliment her for the excellent fare she has managed to dish out for a first attempt. Pleasant and articulate, she turns out to be not just an extremely talented home chef but wonderful company!